Estadio Chivas, previously known as Estadio Omnilife, was built to provide Chivas with a modern home. Until then, Chivas played their matches at Estadio Jalisco. Plans for the new stadium were first made in the early 2000s, but various issues delayed the start of construction until 2007. The stadium came at a cost of MX$ 2 billion. The stadium stands out by its shape, which resembles a volcano, and its exterior covered with grass. Estadio Chivas officially opened on 30 July 2010 with a friendly between Chivas and Manchester United (3-2). Javier ‘Chicharito’ Hernandez, then just transferred to the latter, played for both sides and scored the first goal for Chivas. 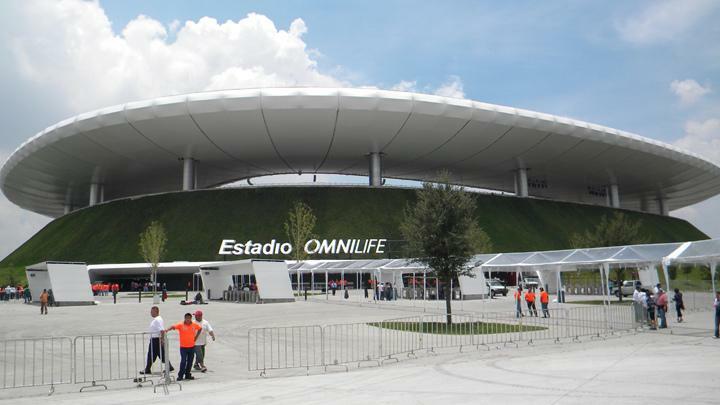 The stadium was initially called Estadio Omnilife following a naming rights sponsorship deal, but this was changed to Estadio Chivas in 2016 when the deal ended. In its first few years Estadio Chivas had an artificial pitch, but this got replaced in the summer of 2012 after severe criticism of fans and at the request of newly-appointed advisor Johan Cruijff. Estadio Chivas is located in the western-Guadalajara suburb of Zapopan at about 14 kilometres from Guadalajara’s historic centre. 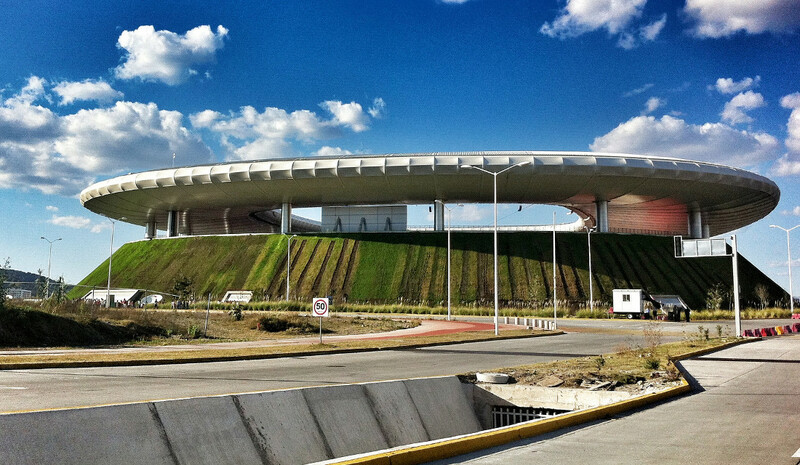 The stadium lies just outside Guadalajara’s ring road, the Pereférico (Sur), and is therefore easily reached by car. There is ample parking available around the stadium. Estadio Chivas is harder to reach by public transport. If coming from Guadalajara’s historic centre, it is likely easiest to take the pre-tren, the city’s fixed-lane bus system. One can take the pre-tren from light rail station Juarez on Avenida Juarez (or Av. Vallarta) in the historic centre. Take the bus toward Aviación or Terminal Zapopan and get off at stop Concentro. From there it is an approximate 20-minute walk to the stadium. There are also special (free) Omnilife buses that circle the terrains of the stadium, which can shorten the walk somewhat. 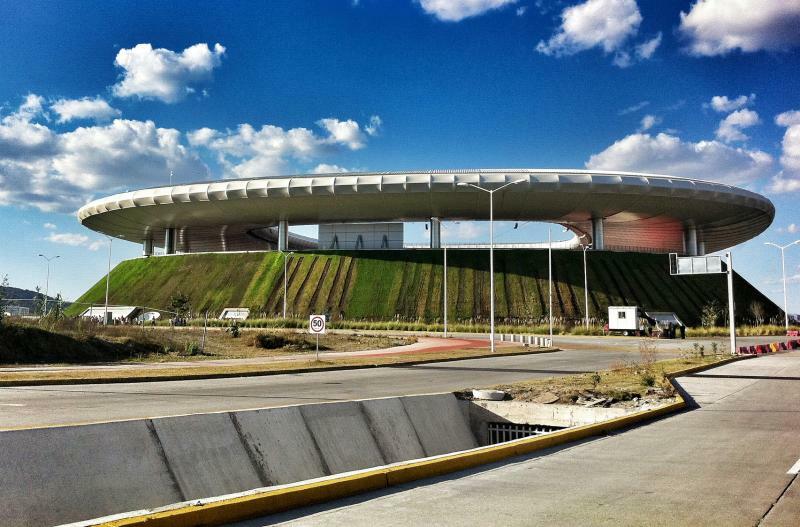 The long-distance bus terminal of Zapopan is located at walking distance of the stadium, and has service (e.g. with Primera Plus and ETN) to many parts of the country. It may be more convenient to arrive and depart here than at Guadalajara’s Central de Autobuses, which is located on the other side of the city. Tickets for Chivas games can be bought online, at the ticket windows of Estadio Chivas, or at one of the other sales points. These sales points include the Chivas stores at the Plaza Galerías, Plaza del Sol, and Gran Plaza shopping malls (all in the west of Guadalajara or Zapopan). On the day of the match, there only tends to be ticket sales at the ticket windows of the stadium. Chivas currently rarely sell out, and even for the Súper Clásico versus América tickets are generally available in advance. Ticket prices depend on the match, but typically range from MX$ 125.00 for an upper-tier seat behind the goal to MX$ 890.00 for a central seat at the main stand. Estadio Chivas offers guided stadium tours that include the Chivas museum. The tour lasts 90 minutes. Tours run Tuesdays to Sundays at 10:30 am, 12:30 pm, 2:30 pm, and 4:30 pm. There are only morning tours on match days. Tickets can be bought at the club shop at the stadium, though it is advised to contact in advance to check availability via tourestadio@chivasdecorazon.com.mx. The combined tour and museum cost MX$ 120.00, the museum only MX$ 60.00. Chivasdecorazon.com.mx – Official website of CD Guadalajara. Estadiochivas.mx – Official website of Estadio Chivas. Guadalajara.gob.mx – Guadalajara tourist information.